Fighting bull meant and excellent if little known product. Fighting bull meat is an excellent product brecause is an animal bred in the wild, feeding upon natural products. Besides it´s the great unknown of this country due to the existing taboos about its consumption. Fighting bull meat products are healthy because of its low falt. Analized products of the fightintg bull´s meat show an erichment of poly-saturated fat acids they also show high quantities of oleic acid, especiall y in the salchichón and chorizo. The distinct elements which connect the fighting bull´s breeding with the natural pastures it feeds upon are their content of polysaturated and Vitamin E.
The fighting bull´s meat is guaranteed by the “100% indigenous fighting bull breed” seal of the MAPAMA as granted by the Ministry of Agriculture, fishing food and environment. 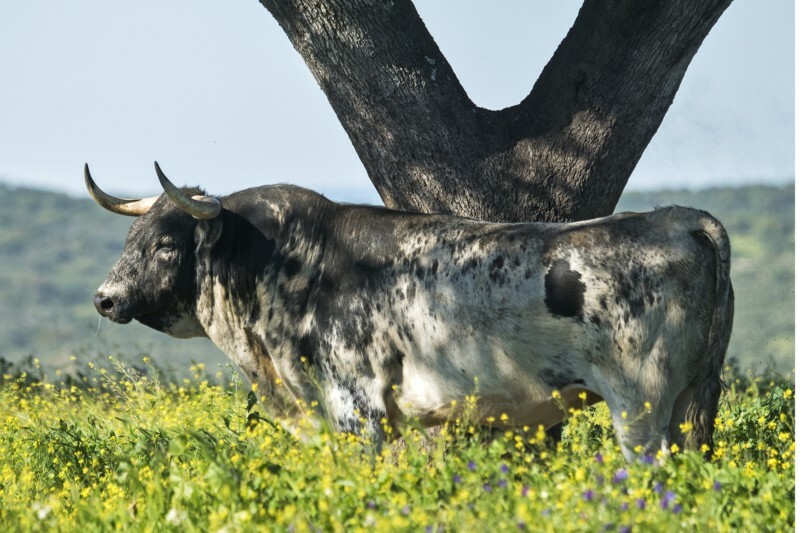 This fact highlights the fact that this breed is not only for bullfighting it also has great qualities for the meat production in the same fashion as other indigenous species. 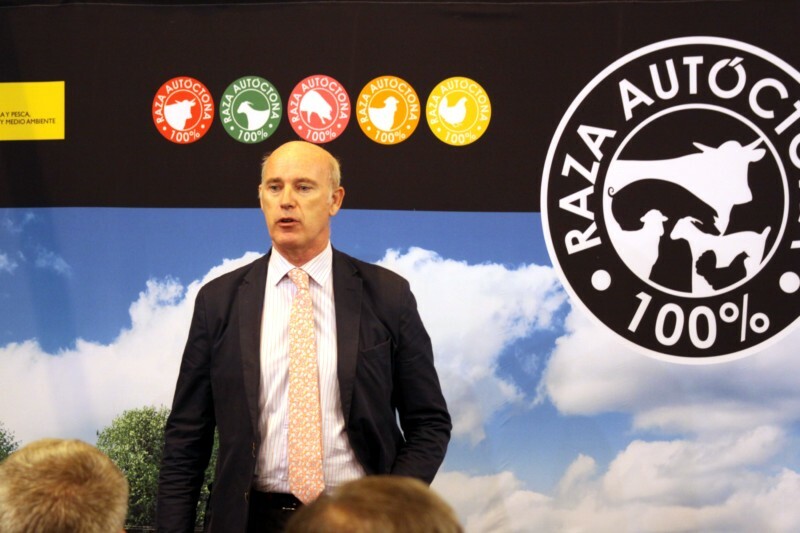 The “100% indigenous fighting bull breed” seal logo guarantees tracking of the meat, quality of the product and it also acknowledges it as a natural product which contributes to the sustainability of the rural environment. Through the use of the “100% indigenous fighting bull breed” logo the twofold ability of the fighting bull breed is acknowledged;. A historical achievement that allows for ending the constant attack from within the European Parliament or putting into question the economic aid to this breed in the Common Agricultural Policy. 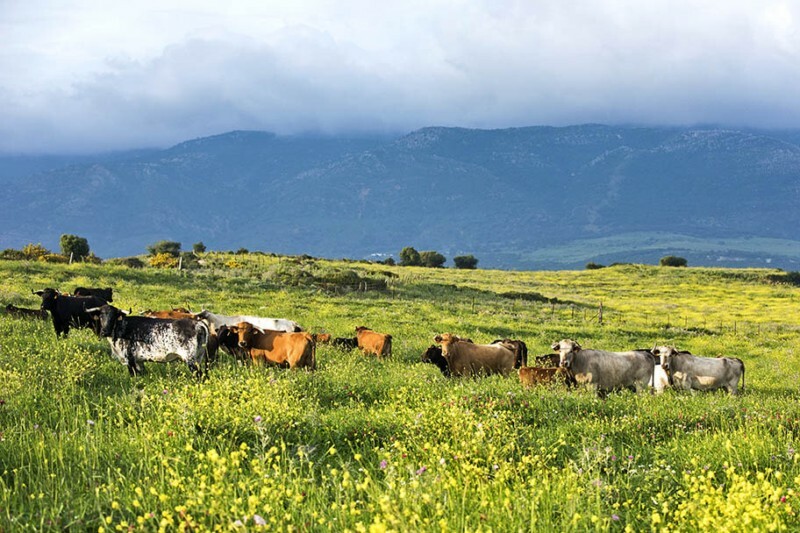 In 2014, the Union of Fighting Bull Breeders signs an agreement with the Spanish Federation of Associations of Cooks and C onfectioners and with the Superior Center of Scientifical Research with the goal of developing a project that bolsters the quality of the brave bovine meat. 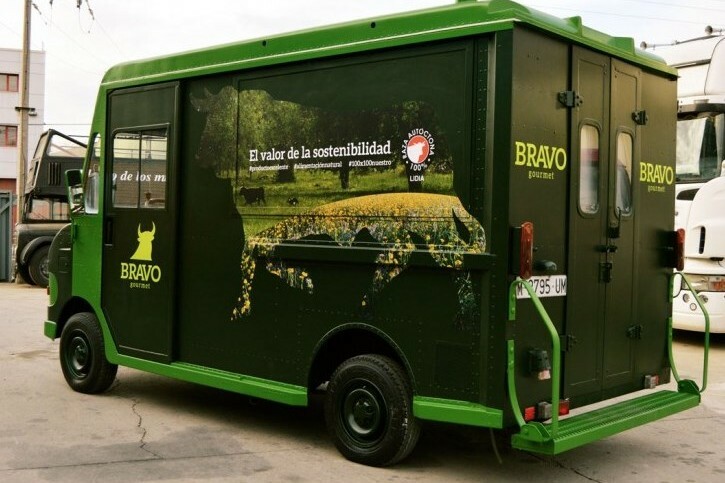 Throught the project “Brave Meat, the value of sustainability” it was presented in “Madrid Fusion” festival through a presentation on behalf of Mario Sandoval. Furthermore, a brand called Bravo Gourmet was also introduced and supported. *Mario Sandoval is the chef of Coque, two Michelín Stars, National Gastronomy Award. 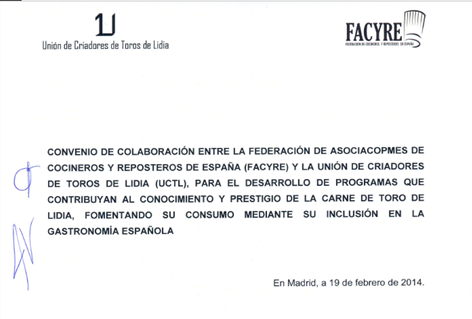 Chairman of FACYRE, Spanish Federation of Cooks and confectioners. *CSIC: Centro Superior de Investigaciones Científicas. Five breeders´associations gather in 2015 to form a federation under the name of Federation of Associations of Indigenous Fighting Bull breed and channel its endorsement through an institution which unites all the breeders in the effort. This way, UCTL inititiatives on the subject were carried out throught this new frame that was created. Introduction of Fighting bull meat in different locations in Spain: Seville, Madrid and Pamplona. Participation in specialized fairs, MEAT ATTRACTION.